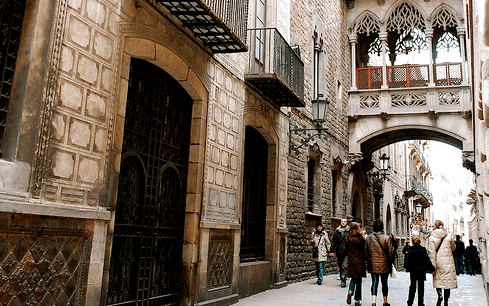 Exploring Barcelona by Car – For several years now, I’ve been hearing about what a wonderful place Barcelona is to visit. I’d only been to Madrid before, and it was a dazzling experience. Still, when I kept hearing about Barcelona, I decided that a trip there was essential. I had heard not only about the delights of the city but also the many sites in the surrounding region that were not to be missed. That’s when I had the idea of exploring Barcelona by car. Driving around Barcelona can be challenging, but if you are prepared for it, it’s a lot of fun. Renting a car is inexpensive and easy, and as long as you are committed to defensive driving and have some patience, there’s really no reason not to try it. I rented my car from the Barcelona Airport Rental Cars. It’s true that you may not need a car for seeing much of the Catalonian capital. Parking can be hard to come by, especially in certain quarters of Barcelona. A determined driver can always find a spot to leave their car. Just be willing to do a bit of walking in case you have to park farther away than you’d like. When I asked myself, “Should I drive in Barcelona?” I wasn’t sure what the answer would be. Then, I started looking more closely at all of the things there are to see and do in the area. Suddenly, numerous Barcelona day trips became priorities on my itinerary. With just a day trip, I was able to venture out to the Costa Brava and the Costa Daurada to the north and south of the city. Ancient, intact villages and stunning stretches of coastline were my rewards. I even had the time to visit the Pyrenees Mountains and the famous ancient monastery Montserrat. Before I could explore Barcelona by car, I needed to know more about the city and its history. This is something I do before all of my trips to new places. I find that reading about the destination before I get there just makes the journey much more rewarding. Barcelona is a wonderful four-season destination thanks to its relatively mild climate. True, it can be pretty hot and humid in the summer, but fall, winter and spring are all fairly comfortable times to get out to do some exploring. Summer can work too, especially if you’re inclined toward lying on the beach and checking out the air-conditioned museums. There are three million inhabitants in Barcelona, but that number swells when the tourists are in town. With approximately eight million visitors every year, you’re bound to run into other tourists. I don’t mind that, but I also like to visit places that the locals frequent. It gives me a much more genuine experience of Barcelona. Barcelona’s history is long and complex, dating back to the first century BCE when it was established by Romans. Since then, the city has seen plenty of booms and declines. Evidence of the historical booms are clear in the Gothic Quarter, and the 20th century was a time of tremendous renewal throughout the city. One of the most distinctive neighborhoods in the city is Eixample, where you can see amazing examples of buildings in the Catalan art nouveau style. The restoration of democracy in 1978 brought back the Catalan language. Eventually, the city would host the 1992 Summer Olympics and undergo even more modernization. Within the city, there are many well-known sites. The Barri Gotic, or Gothic Quarter, is filled with fascinating sights like the ruins of the temple to Augustus that was built by the Romans. This is also the place where you’ll find a cathedral and the Museu d’Història de Barcelona as well as the Call Jueu, the ancient Jewish Quarter. The Museu Picasso is another can’t-miss attraction. Barcelona is where Picasso lived during key moments of his development as an artist. He was an apprentice here, and he was strongly influenced by the city. The idea for the museum was first put forth by Picasso himself through his secretary Jaume Sabartes. In 1963, the museum opened with Sabartes’ personal collection of Picasso works forming the majority of the collection. It has expanded considerably now, and the museum is considered to possess one of the best collections of Picasso’s work. If you’re interested in the Olympics, funiculars and castles, then Montjuïc is a destination you shouldn’t miss. Just getting there is half the fun. You’ll travel by cable car and funicular to get to the top of the mountain. Here, I toured Montjuic Castle and the Joan Miro Foundation where I fell in love with this Catalan artist’s work. I also caught glimpses of the village and swimming facilities that were built for the 1992 Summer Olympics. Many of my favorite memories are of Barcelona’s La Rambla. 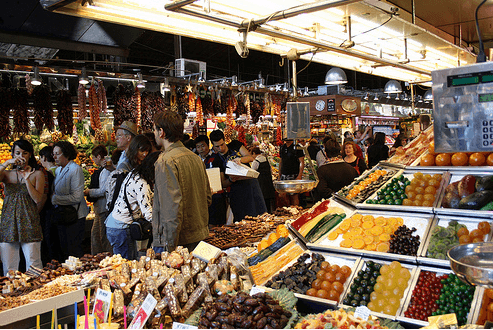 I started my journey at the Mercat de la Boqueria in the early morning. The delicious smells of the fresh food and produce were unforgettable, and the breakfast I enjoyed was remarkable. It also was fun to see the top chefs in the city bargaining for the raw ingredients that would make up the eclectic menus for the day at their restaurants. 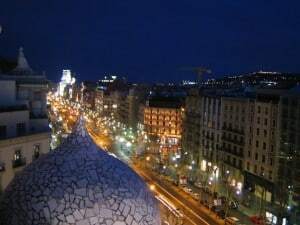 From there, I strolled toward the Gran Teatre Opera House. It was impossible not to be affected by the color, charm and bustle of the heart of the city. Street performers are found all along the boulevard, and exploring the many shops and restaurants is an essential part of the experience. The first of the Barcelona day trips that I took was to Tossa de Mar. This Costa Brava resort village is really second-to-none. Costa Brava, which translates to Rugged Coast, arguably features some of the most beautiful scenery in all of the Mediterranean. As I was driving, I had to stop frequently to take pictures or just enjoy the awe-inspiring views. I fell in love at first sight with Tossa de Mar. It’s tiny, but it is so completely and beautifully preserved that a trip there is like stepping back in time. It was actually a little hard to believe that this is still a working, living village and not an incredibly well-done living history museum. I wandered in and out of shops, took pictures and enjoyed a hearty lunch of Catalan delicacies. After that, I drove down to the small, crescent-shaped beach for even more gorgeous views. I had the time, so I took a short boat trip to see more of the spectacular coastline. On another day, I took a drive to the Pyrenees Mountains. They really are a breathtaking sight, and the journey there is a big part of the fun. I got an early morning start so that I would have plenty of time to explore. Three gorgeous villages can be visited along the way. First, I encountered Vich, then Ripoll and then Camprodon. Each one is a bit smaller and more contained than the last but no less charming. If you have the time, I recommend finding a little time for each. Hiking and skiing are two of the most popular activities in this part of the Pyrenees. I wasn’t prepared for skiing, but I am always up for a hike. With my hiking boots, I was ready for even the most rugged of trails. It was a memorable day, one that I still look back on as one of the best on my Barcelona vacation, and it was all possible because I rented a car. Other Barcelona day trips included visits to villages like Calella de Palafrugell, the fishing village Cadaques and Figueres. That village is notable because it is the birthplace of Salvador Dali. A wonderful museum there commemorates his life and work in a distinctive way. Visit the Old Quarter and cathedral too to get a feeling for the more ancient past of this village. To the northwest of Barcelona is the historic monastery known as Montserrat. With a name that translates to “Saw-toothed mountain,” you can be certain of seeing some rugged and spectacular scenery. That was a day that was filled with awe-inspiring sights. If you’ve never been to Barcelona and are wondering, “Should I drive in Barcelona?” the answer is an unqualified yes. The day trips in the area are outstanding, and you may find it helpful to drive within the city too. Exploring Barcelona by car is an authentic experience that lets you live life like the locals. 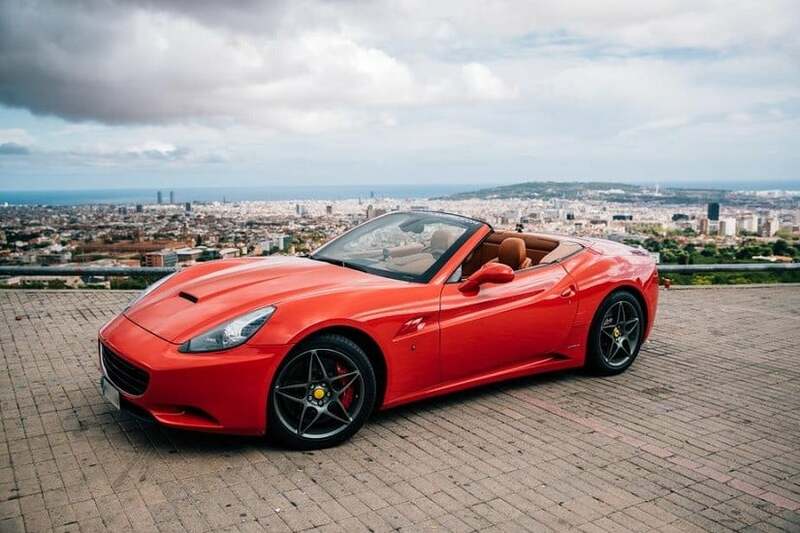 While it’s true that driving around Barcelona may be stressful from time-to-time, the ease and affordability of renting a car and having it at your disposal simply can’t be beat. I can’t imagine going there again without renting a car to enjoy all of those glorious day trips.